As we all know that Apple has launched its new iPhone 5 in the mobile market on 12th of September 2012. Now the wait is finally over the new iPhone 5 is now available for purchase and you can pre-order it from the Apples iTunes Store the price is starting from $199 about 9950 INR. Now you might be thinking that what are the changes have been made in the new iPhone 5 and why you should by it if you are planning to purchase it, well let me tell you that there are lots of changes have been made in iPhone 5 and also, there are some new features also been added to iPhone 5. I would say that this is the phone which can perform so many things that people can’t imagine in any other mobile phones. The iPhone 5 has some of the best key features which don’t seem to be possible in any other phone. You just can’t imagine that how a phone like iPhone 5 can bring you a lot of things that you can’t simply imagine with any other phone. Let’s have a look at some of the best features of The new iPhone 5. The new iPhone 5 has an all-new design as it is the thinnest lightest and fastest phone for now. this is the thinnest phone having so much to offer to their users. The iPhone 5 has a large size display, a faster chip, with the latest new wireless technology, it has 8MP iSight camera the body of the iPhone has been made with the aluminum. It’s just 7.6 millimeters thin and weighs just 112 grams. It is 18 percent thinner and 20 percent lighter than iPhone 4S. The new iPhone 5 has 4-inch retina display which makes it bigger to see anything on your iPhone screen it gives you a wide view of everything so you can explore the things on a wide screen. Now you can explore the web pages more widely. The iPhone is bigger and 9 millimeters taller than iPhone 4S but it has the same width as the iPhone 4S has which gives a comfortable grip on your phone while you type or do anything on your iPhone 5. It has Retina display with 326 pixels per inch so you can watch your favorite HD videos on the wide screen. Now use the internet and download anything from the internet on a very fast ultrafast wireless connection with LTE wireless technology, which gives more fast network connection speed which you can’t get on any other phone. But having an LTE wireless technology on any other phone can drain your battery life but the iPhone 5 is designed and optimize with LTE in a right way so you can use more out of your iPhone. The new iPhone 5 is built in with the new A6 chip that is so fast and makes you iPhone, even more, faster than ever before this is faster than the A5 chip which makes everything faster, launching apps, loading web pages and adding an Email attachment gets almost instantly. A6 chip also increases your graphics performance which makes your gaming and watching experience, even more, better and fasts. 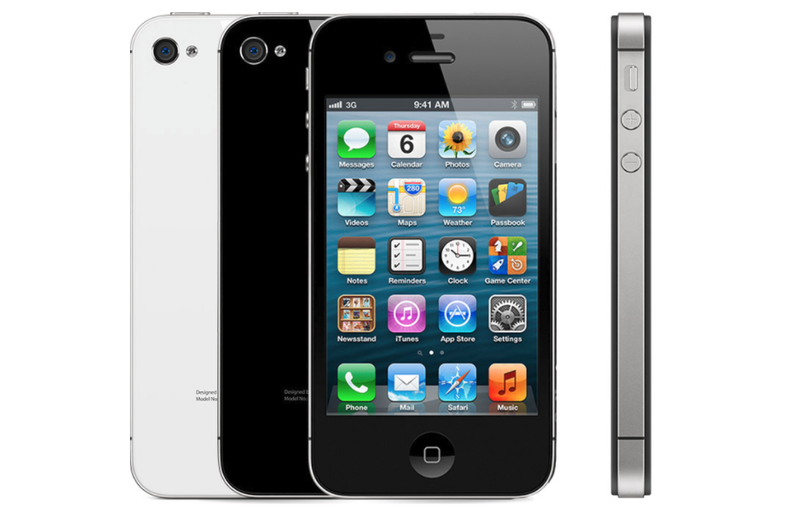 The iPhone 5 is designed to be extremely power efficient so you can talk, chat, browse and listen music for a long time. The iPhone 5 battery gives up to 8 hours of browsing power on a cellular connection, up to 8 hours of talk time, and up to 10 hours of video playback time. With the new iPhone 5, you will get a different kind of earbuds which is very nice and comfortable for your ear and it has been designing very carefully so it can get into every one ear smoothly. The shape of the earbuds of iPhone 5 is quite impressive and beautiful which very comfortably gets in your ear so you can enjoy music for a long time without any problem. It has been designing with three microphones one on the front, one on the back, and one on the bottom. The camera of iPhone 5 is great and it can take great pictures it comes with an 8-megapixel camera which you can use to take high-quality pictures of your loved one and with the panorama app you can do much more things with your camera. The iPhone 5 camera lets you record videos in 1080p HD formats with face detection up to 10 faces you can also take still photos while recording a video and you don’t have to switch your camera to the image mode for taking the pictures. The iPhone 5 has been designing for making it thinner, smarter durable, better that’s why this phone has a all new smart lighting connector which features all eight signal design that’s more durable than the 30-pin connector. And the other best thing about the connector is it’s reversible so you can use it from any side and you don’t have to worry about the wrong side. Tips, Manage your iPhone 5 with all-in-one iPhone manager for Windows.